I think I've burnt out on making quilted stuff for my Etsy shop and am ready to make a few things for myself! I recently bought this little chickadee wool kit off Etsy from HoneynCloves and I hope to piece it together over the holidays. Just a little low key, relaxing handwork. And I did sign up for another mini quilt swap on Flickr and the due date was November 30. I had lots of wonderful ideas in my head and thought I'd have plenty of time to finish this, but only got it done today! 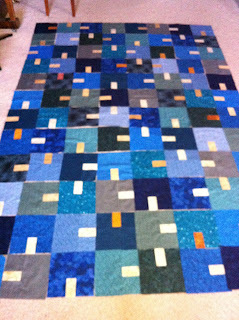 Here's a peek and you'll see the whole quilt when my swap partner receives it. And here's the link to the Flickr Mini QT group so you can see the other mini's that were swapped! The twin custom quilts and pillow shams are at Blueberry Hill Quilts in Chestermere, Alberta to be quilted by Marie. Someone asked me about the pattern last week and it's based on the Tempest pattern from Cherry House quilts. I did order the pattern off the Cherry House website, but it has not yet arrived, so I'm just winging it from the photos. I love your machine quilting in the maple leaf. I will have to check out that flickr site for more eyecandy. Winging it you say! You are good, I have a hard time straying from patterns, I usuallay stray at some point but always start with them...happy quilting! 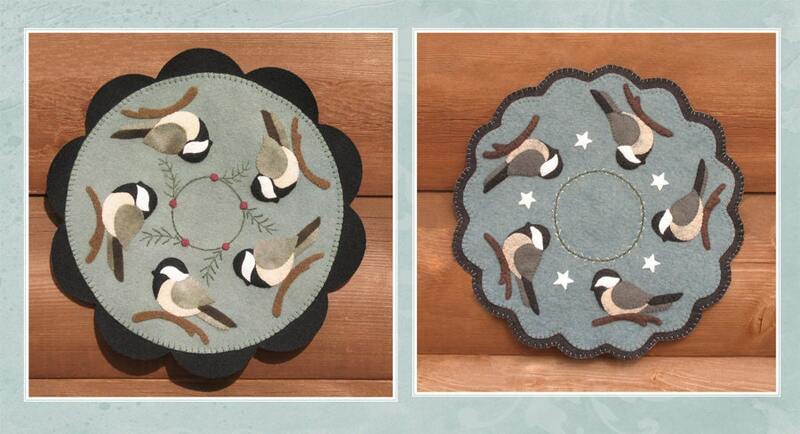 Love the chickadees - Good for you for taking time off to sew for yourself! can't wait to see the whole quilt.